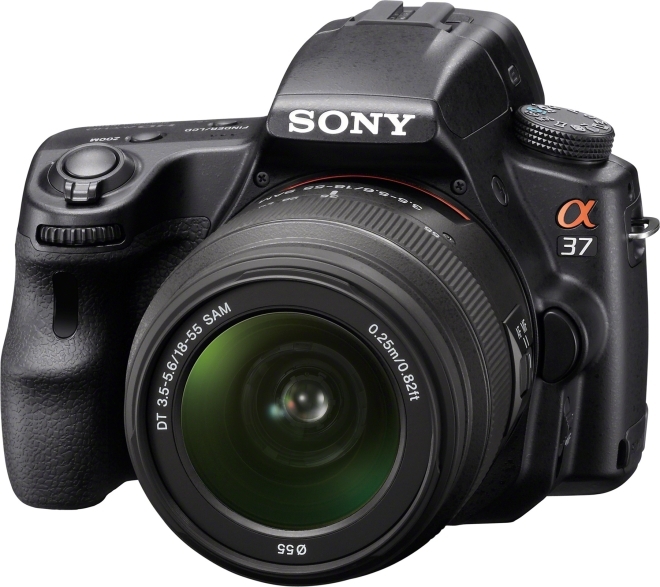 SAN DIEGO, May 16, 2012 –– Lightweight, easy to use and packed with a variety of useful features, the new Sony SLT-A37 camera is an ideal choice for consumers eager to explore the world of interchangeable lens DSLR photography. 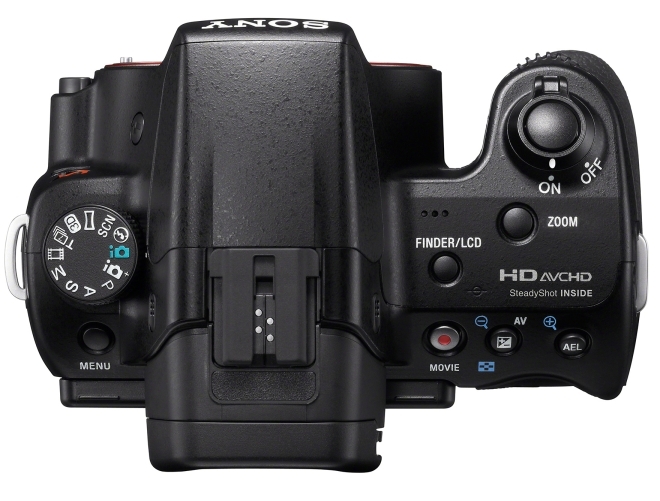 The new α37 camera is the latest to feature Sony’s acclaimed Translucent Mirror Technology, which delivers a potent combination of fast shooting, non-stop phase detection autofocus and continuous live image preview during still and full HD video (60i/24p) shooting. This innovative technology also allows the new α37 camera to grab split-second action with a burst of sharply focused images. Shots can be captured at up to seven frames per second in Tele-Zoom High Speed Shooting Mode, where the central portion of the sensor’s image is magnified by approximately 1.4x. The camera has a precision 3-cross 15-point AF system with tracking autofocus that keeps faces and fast-moving subjects in sharp focus. From action-packed sports to spontaneous family portraits, it will ensure that all the drama and beauty of that special moment is captured. Framing and focusing is easy with the camera’s high-resolution Tru-Finder™ electronic viewfinder. With a high 1440k dot resolution, excellent contrast and 100% field of view, it matches or exceeds the abilities of many optical viewfinders. Adjustments to exposure and other creative picture settings can be previewed in real time, either via the Tru-Finder™ EVF or the tilt-angle 6.7 cm (2.7") Clear Photo™ LCD screen, making it easy to create shots with a customized, professional finish. 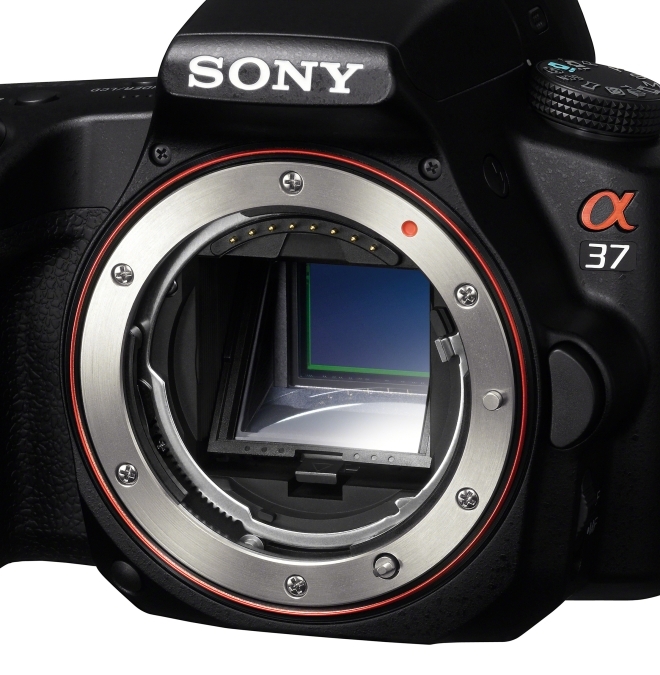 Additionally, the Sony α37 camera helps inexperienced photographers create top-quality portraits with ease. The new Auto Portrait Framing mode identifies the subject’s position in a composed image and follows the “rule of thirds” to trim the scene and create a beautifully framed portrait. The cropped photo is then boosted to full resolution using Sony’s unique By Pixel Super Resolution technology, which uses pattern matching to maintain superb image detail, tones and textures in the photo. Both the original and cropped image files are saved for review. The 16.1 effective megapixel Exmor® APS HD CMOS sensor inside the α37 camera captures finely detailed, low noise stills and Full HD video. It’s teamed with the latest BIONZ® image processor that extends sensitivity to an ISO 100-16000 range, broadening options for low-light shooting without flash. Shared with all α A-mount cameras, SteadyShot INSIDE™ stabilization cuts the effects of camera shake by up to 4.0 stops for clearer handheld images with any A-mount lens. The new α37 camera also features Superior Auto Mode, which intelligently recognizes a wide range of scenes and subjects and adjusts settings automatically. A versatile match for the α37 and other Sony A-mount camera bodies, the new SAL18135 18-135mm F3.5-5.6 telephoto zoom offers a generous 8x (approx.) zoom range in a compact, go-anywhere lens that’s great for travel, street photography and everyday shooting. The lens features a SAM design that assures smooth, rapid, whisper-quiet autofocus operation and Direct Manual Focus for accurate fine-tuning of focus. This sharp telephoto zoom lens will also be offered as a kit lens with the α37 and other Sony A-mount camera bodies. Compatible accessories include the new PCK-LM11 semi-hard screen protector sheet, exclusively designed for a perfect fit with the LCD screen on the α37 camera, as well as the HVL-F43AM flash, LCS-BP2 backpack and a variety of other exciting products that complete the Alpha ecosystem. The camera kits, new lens and variety of accessories will be available at Sony retail stores (www.store.sony.com) and other authorized dealers nationwide. Detection reveals a searing planet.